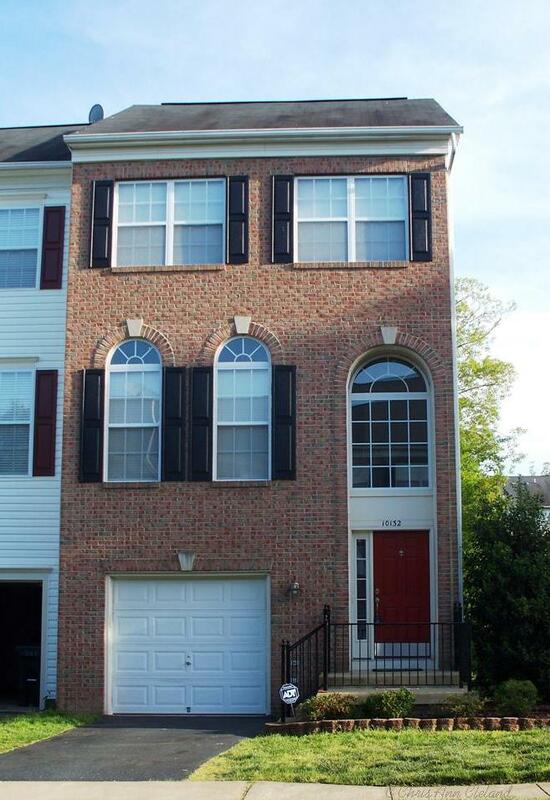 This Braemar townhouse located at 10132 Pale Rose Loop, hit the market on May 8, 2013 priced at $285,000. It was a Short Sale with one mortgage. There is a misconception in our neighborhood, and surrounding real estate market, that Short Sales bring down property values. I know that is incorrect information because I list Short Sales as well as Regular Sales. Trust me when I tell you that the banks and the investors that back underwater mortgages are NOT leaving any money on the table. So as a general rule, I price Short Sale listings the same as Regular Sales. 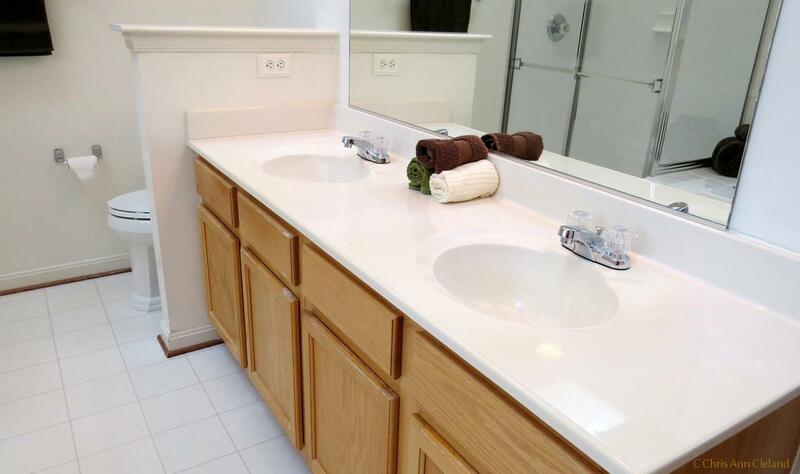 It’s all based on property condition, and this end unit townhouse was in excellent condition. It received multiple offers and was under contract on May 8th. That’s where our story lags for a bit. 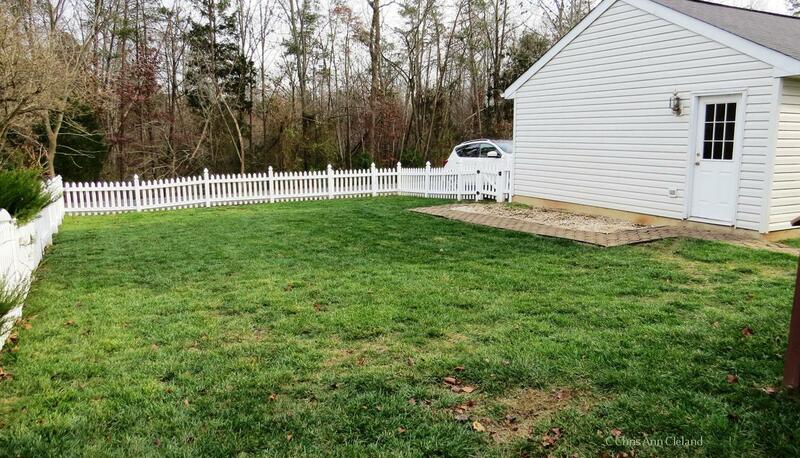 This particular Short Sale was a VA loan through US Bank. US Bank proved to be horrendous at processing paperwork. So much so that when the file continued to be held up in processing, I involved the Consumer Financing Protection Bureau (CFPB) and the VA (Veterans Administration) in late October. I was about to involve our U.S. Senators when, miraculously, the report to the CFPB got the file noticed by U.S. Bank and was finally put up for investor review. One month later, we had our approval letter. The Seller’s mortgage debt was forgiven. 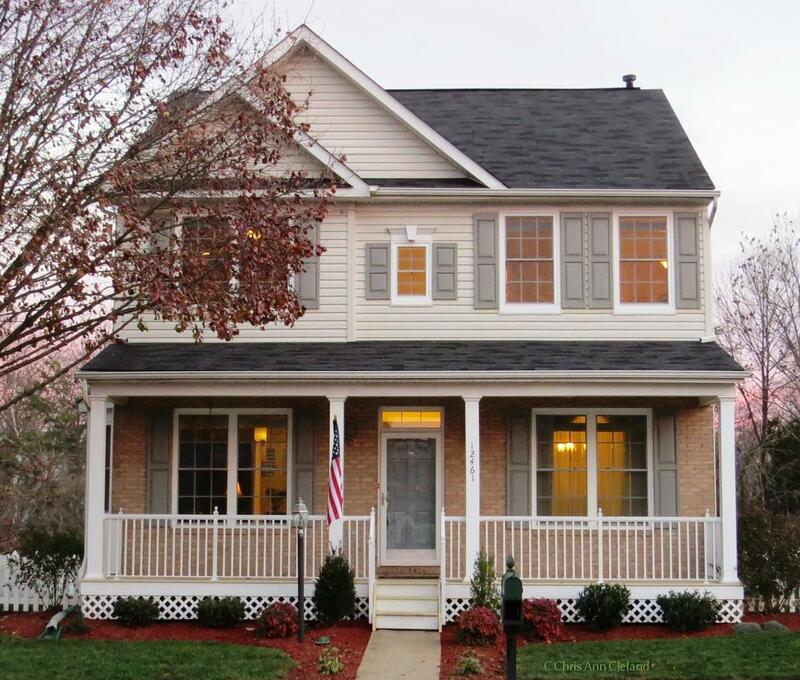 This Braemar townhouse sold on December 27th for $290,000. That’s a lot more than the last reported average sales price of Braemar townhouses of $272,567, and $5,000 OVER its list price. So next time you hear that Short Sales are bringing our neighborhood values down, remember this Short Sale is actually improving our neighborhood values. If you have a Braemar townhouse or single family home you need to sell, please give me a call for a free market analysis. No One Knows Braemar Better! If I were to stock a shelf with a home that would be a great find for a Bristow buyer, just in time for the holidays, this would be it: 12461 Iona Sound Drive in Braemar. The image that sticks with me about the Carriage homes on this street is one that happened in 2004. My husband and I were driving around, looking at Christmas lights and checking out Braemar as a potential place to call home. With that touch of white snow and the holiday decorations on these homes, I really felt like I was under a tree, wandering around a Christmas tree village come to life. This particular Carriage home has so much to offer. It is a Norwood model, but has some flairs to the floor plan that you won’t find on any other Norwood in Braemar because they are custom. Let’s save the custom flairs and talk about the basics, which are anything but basic. The main level, with its formal living and dining rooms, and open concept kitchen-breakfast nook-family room is done up with hardwood floors. A few upgrades/extras to mention are the bay window in the formal living room, plantation shutters and gas fireplace in the family room, and granite counters complemented by white cabinets and a hanging pot rack over the island. The main level powder room was also upgraded with 12 x 12 porcelain tile, new pedestal sink and new “throne” to match the design. 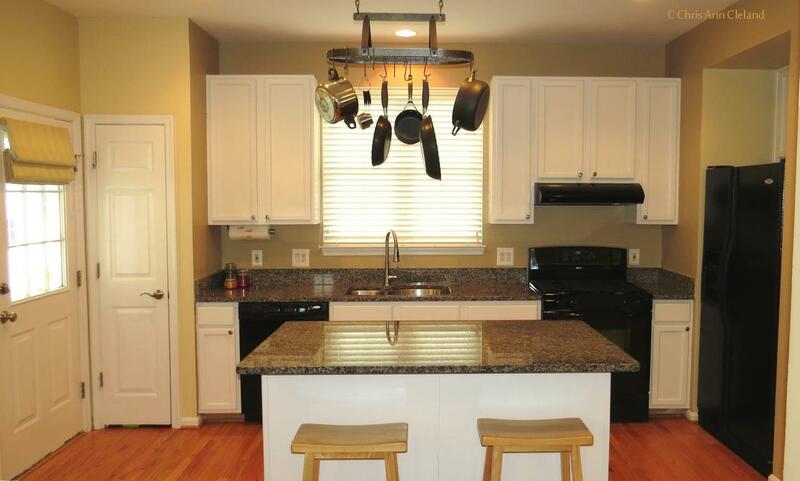 Right off of the kitchen is where you’ll find the first of the custom features of this charmer. 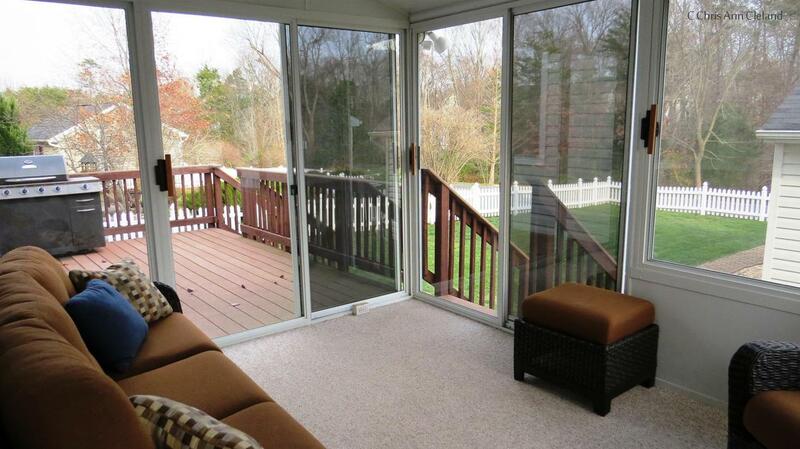 An enclosed porch that has windows that can be slid open to allow fresh air through the screens. Although this room is not heated or cooled, it is one you will enjoy more months out of the year, than not. It also has two exits. One to the composite deck right beside it and one to a path that leads you to the detached two car garage. Standing out here you’ll also notice two things: you have a completely fenced, sizable back yard, and the home site backs to trees. Upstairs is where you find all three bedrooms. Another upgrade to point out is the hardwood staircases. The one taking you to the bedrooms and the one leading you to the basement. This is quite unusual in Braemar Carriage homes. 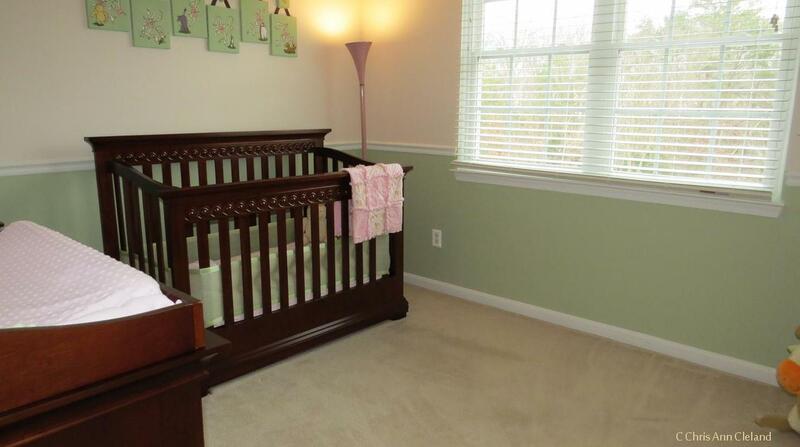 In fact, the upstairs hallway and the Master Bedroom are graced with hardwood floors too. The Master Suite offers a generous sized room, a large walk-in closet and a luxury bathroom with soaking tub, separate shower, dual sinks/vanity and above you, for light even on a cloudy day, two skylights. The second and third bedrooms are equal in size and a bit larger than what you would find in the neighborhood townhouses. They sit across from one another with the second full bathroom sitting between them. Do whatever you want with the basement space. There is a high quality carpet that will last you for many years. 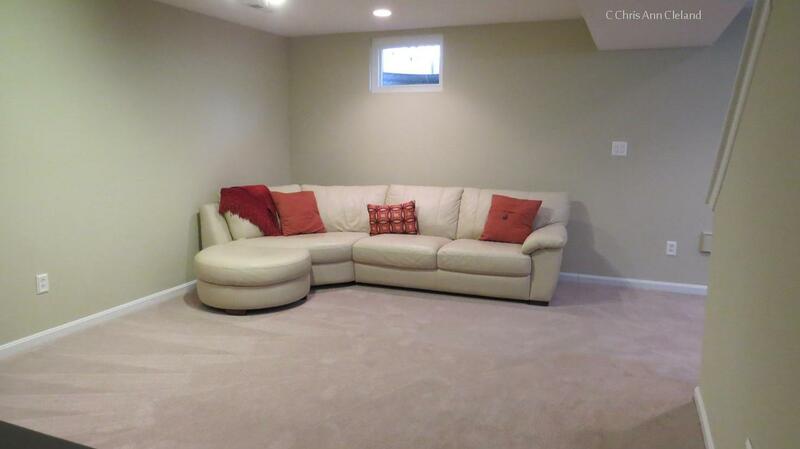 And the way the basement is laid out, you have essentially two recreation areas separated by the center staircase. One side comes with the entertainment center, TV included. Also in the basement is a den that could be used as guest room, office or even a small workout area. The laundry in most Braemar Carriage homes is in the unfinished basement area. Not here. 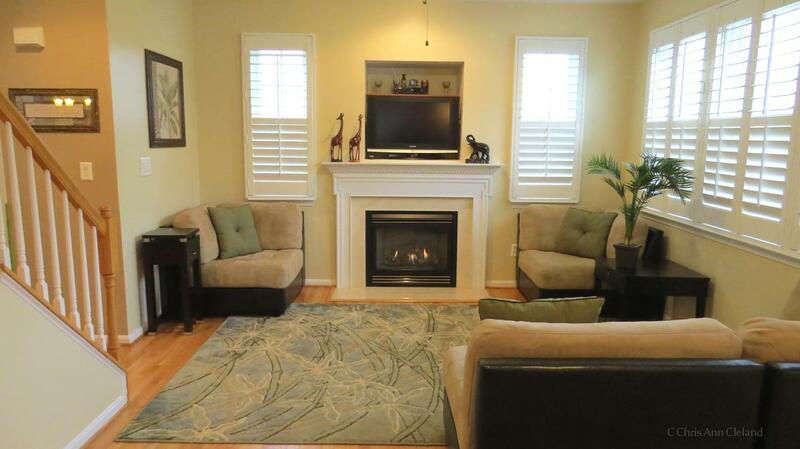 There’s a separate room with hardwood flooring, plenty of space and plenty of lighting. There is still a bit of storage space in the unfinished area, and a washtub sink. The windows in the home were replaced in 2012. It also has a new hot water heater and by the time the home conveys to its next owner, the shingles on the roof will be replaced. And another, but very important detail that the owners took care of was taking the sump pump drain out past the garage so it isn’t perpetually dumping water down by the foundation wall and spitting it back out again. If I could, I’d put a big red bow on this home. It’s going to make someone very happy, and maybe even before the end of the year. For a tour, give me a call.